Splash mud over strangers, push others into the muddy pool, and cover yourself with mud from head to toe. 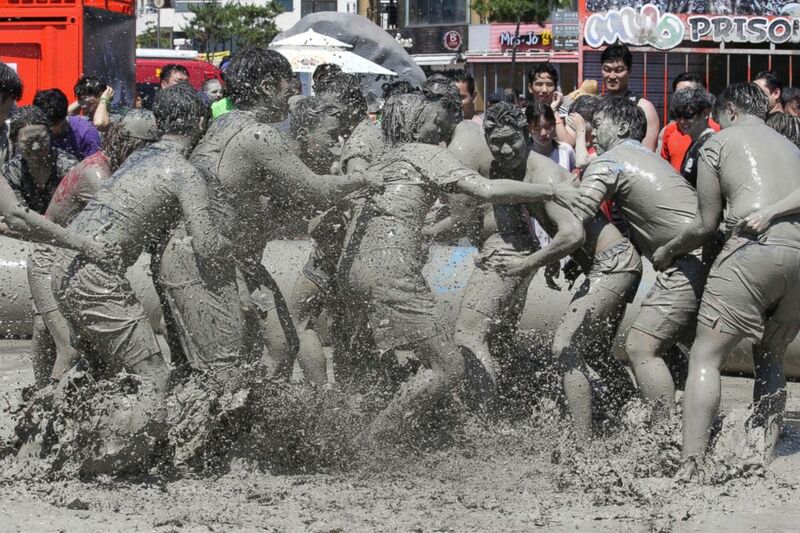 All of these actions make sense at the mud festival in South Korea. 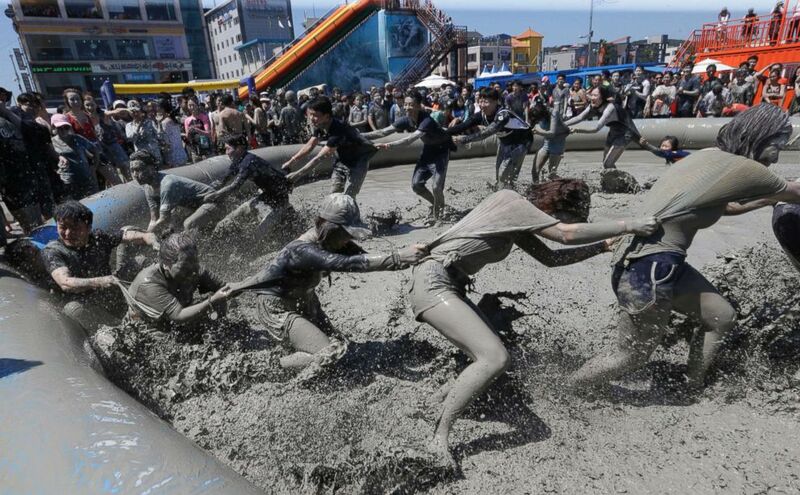 The 21st Boryeong Mud Festival opened up in Daecheon beach, three hours (120 miles) away from Seoul. The annual festivity lures several million visitors every summer, to cover themselves with mud and run around in a mud playground. 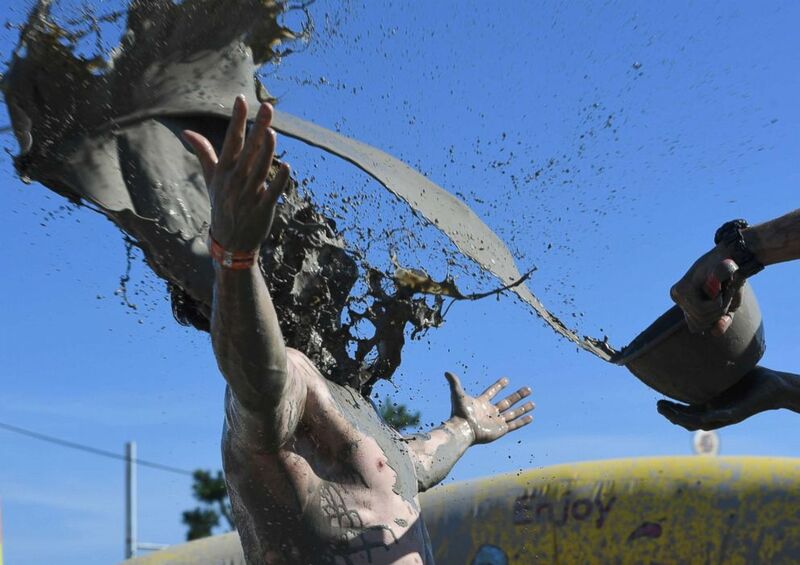 Last year, over 560,000 guests came for the muddy delight. A man's face is hit by mud water during the Boryeong Mud Festival at Daecheon Beach in Boryeong, South Korea, July 14, 2018. People play in a mud pool during the Boryeong Mud Festival at Daecheon Beach in Boryeong, South Korea, July 14, 2018. From mud slides to mud baths, mud soccer, mud wrestling and mud fights, participants can engage in more mud-related activities than they could ever imagine. Volunteers spray cold water at people to wash off the summer heat and sun- dried mud. At one site, people line up to get a make-over at the mud face painting stall. 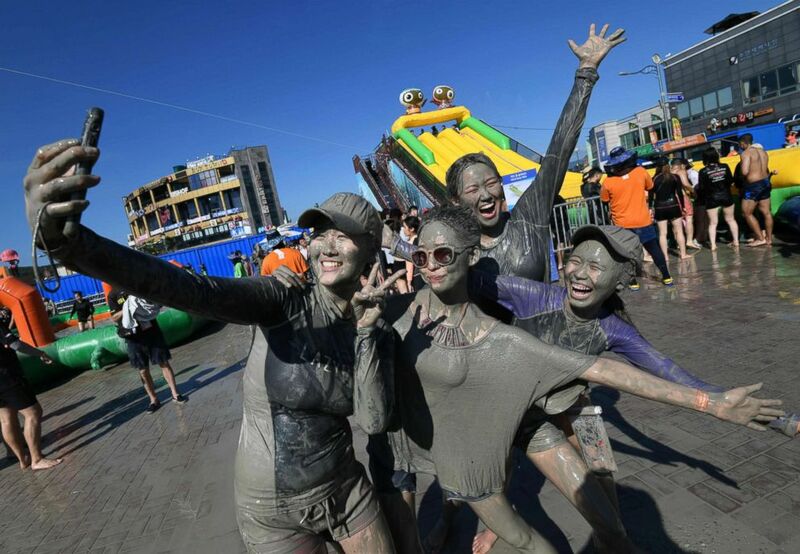 Tourists covered with mud pose for a selfie during the 21th Boryeong Mud Festival at Daecheon beach in Boryeong, July 14, 2018. The festival has gained popularity among foreign visitors in South Korea for its unique concept and the wide variety of mud experiences available. âI read a book called â101 ways to have fun in lifeâ and found out about this mud festival,â Jeremy, an American lawyer currently working in Korea -- who claimed a glorious victory in his mud soccer game -- told ABC News. 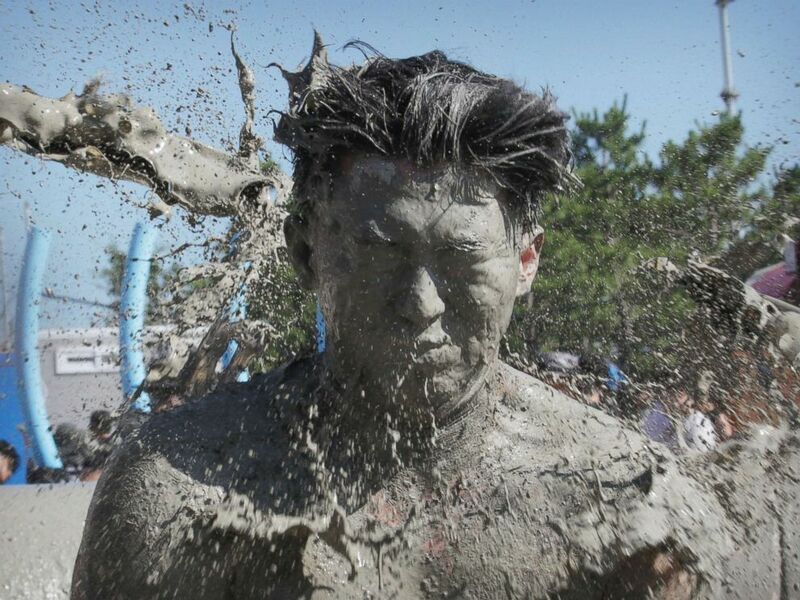 A man gets mud thrown onto him by his friend during the 21th Boryeong Mud Festival at Daecheon beach in Boryeong, July 14, 2018.
âI couldnât miss this opportunity to have fun especially since Iâm in Korea right now,â he said, declining to provide his last name. The 10-day long festival began on July 13 and will run until July 22.